Pressing ahead with National Health Insurance (NHI) will steadily undermine South Africa’s excellent private healthcare system, and overburden the country’s already gravely deficient public health system, at vast cost to taxpayers. This is the thrust of the submission to parliament this week by the Institute of Race Relations (IRR) in response to the Medical Aid Schemes Bill and the National Healthcare Insurance Bill. The window for public comment on this far-reaching legislation closed on 21 September. The IRR argues that all South Africans are entitled to decent levels of healthcare, but that new proposals by the government will have dire consequences for all citizens, whether they rely on private or public health services. As in the case of Expropriation without Compensation (EWC), the poor and the vulnerable will be at greatest risk should the proposed radical change in the way in which South Africans receive healthcare be introduced. 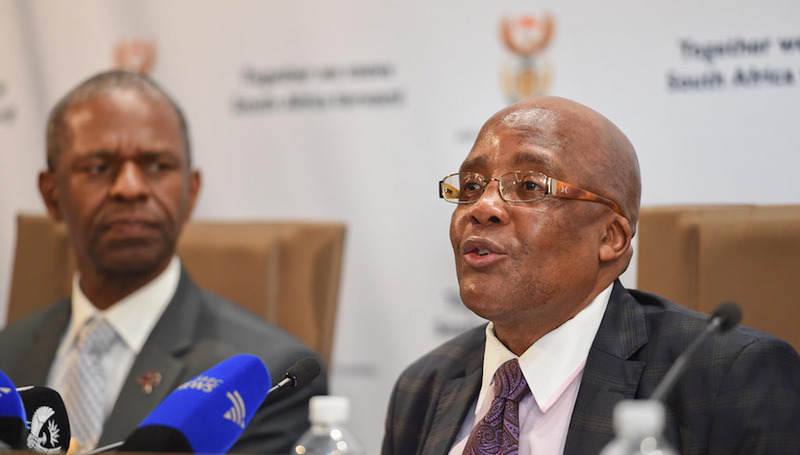 Minister of Health Dr Aaron Motsoaledi. NHI is likely to cost at least R500bn at its start, and could go as high as R1 trillion. South Africa’s public healthcare system is riven with problems and it often fails those who use it, not because of a lack of resources, but rather because of poor management and poor use of resources. Making people pay into a central fund will not fix these problems – but a new system of pervasive state control could make them even worse. The IRR argues that providing all South Africans with quality healthcare is achievable without completely destroying the current system. Key to achieving higher healthcare standards are merit-based appointments, strict accountability for poor performance, and effective action against corruption and wasteful spending. The IRR also argues that the burden on the public system can be reduced by increasing access to private healthcare. Low-cost medical schemes and primary health insurance policies should be allowed, while poor households should be helped to join these schemes or buy these policies through tax-funded health vouchers. To further spread the risk, health insurance could be mandatory for all employed people, with the contributions of those on lower incomes subsidised by employers, for which businesses could earn tax credits.